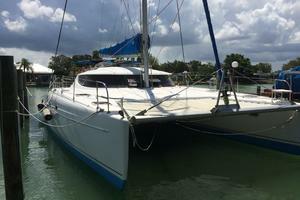 This is a wonderful used Fountaine-Pajot Bahia 46 catamaran with 4 cabins (charter version) for sale. Engines overhauled in 2016. 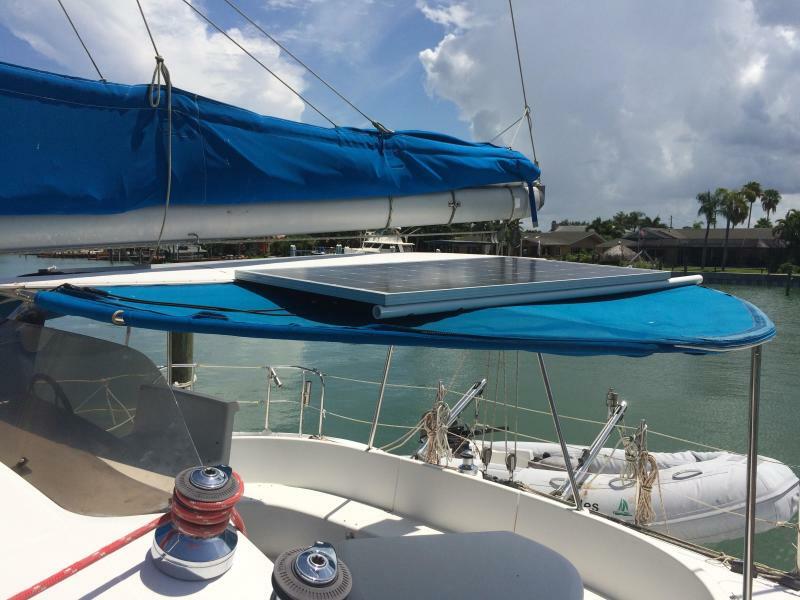 New sail drives installed in 2016. 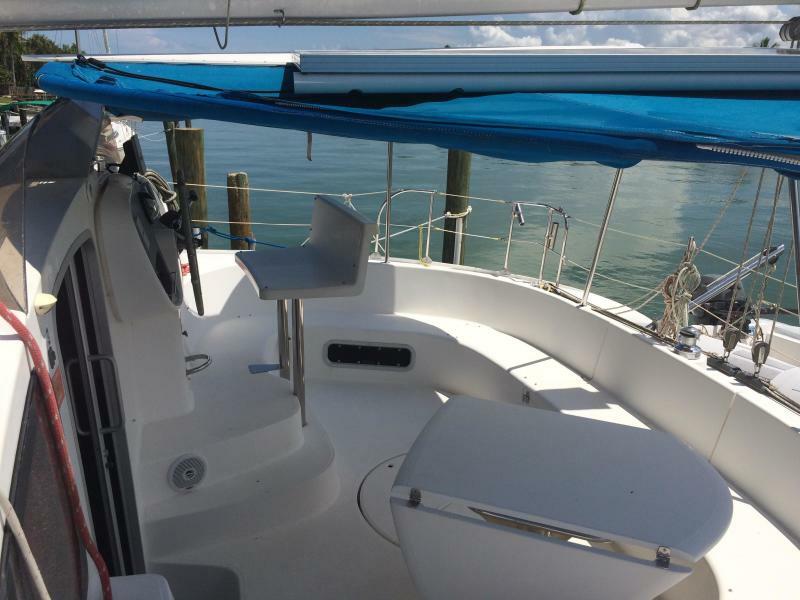 New chart plotter, wind indicator, and autopilot installed in 2018. This is the perfect cat for anyone with a family or lots of friends. 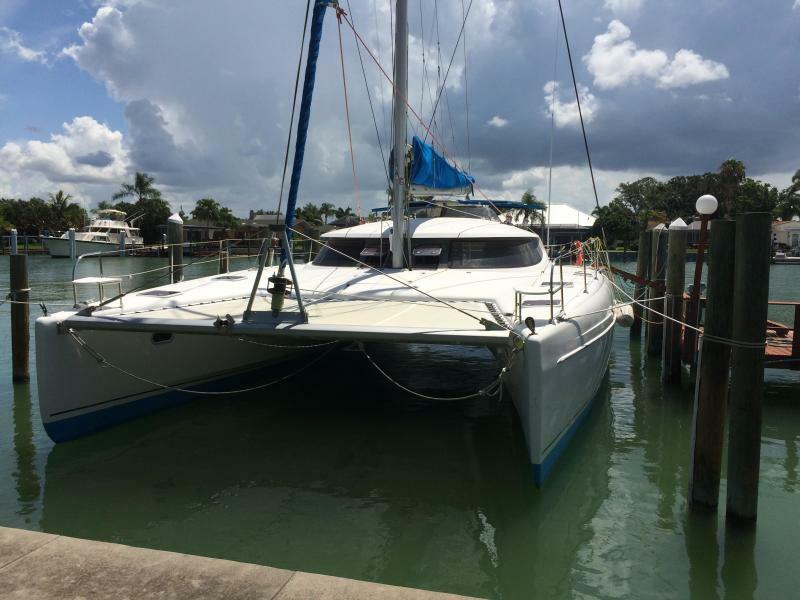 West Florida Yachts would love to guide you through a personal showing of this 46' Fountaine Pajot Bahia 46 2004. 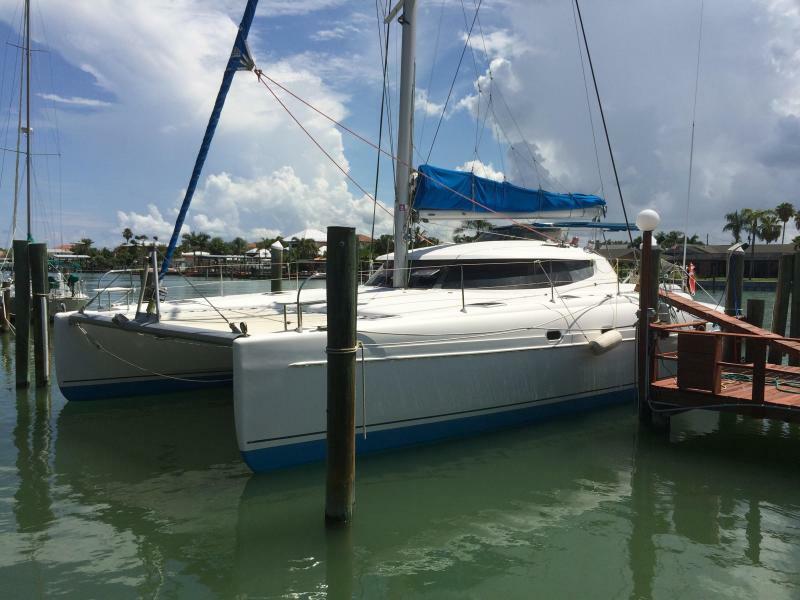 This yacht for sale is located in Clearwater, Florida and priced at $249,900. For a showing please contact us by filling out the form on this page and we will get back to you shortly! 4-headcharter version. Each cabin has it's own toilet and sink/shower. 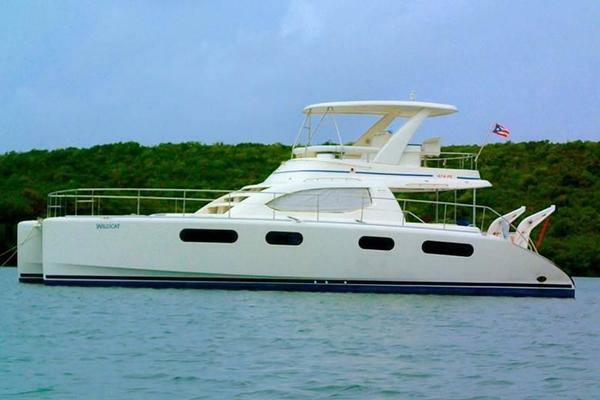 Each cabin sleeps two persons, but additional single berth sleeping areas are located forward of the forward cabins and in each hull passageway. Lewmar manual two speed winches used throughout. 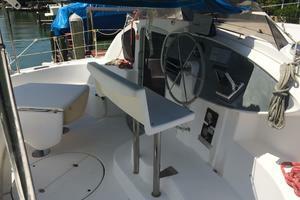 All lines lead to the helm area for easier single-handling. The hull has a new coat of bottom paint (applied in May 2018). There are two emergency floatation tubes with a 10000 lb capacity each (located in the forward sail lockers). All electronics upgraded to use Garmin products in 2018. Chartplotter is a 2018 Garmin 942xs. The wind indicator and autopilot were also replaced with Garmin products in 2018. All devices communicate via a NMEA 2000 bus and the autopilot can track courses plotted on the chart plotter. 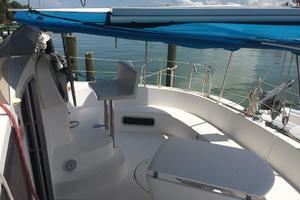 This system also includes a sonar transponder (located below deck in the aft cabin). 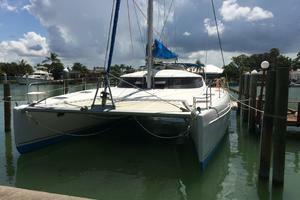 This catamaran uses a 12V DC system and a 120V AC system. There are two solar panels on the cockpit roof(installed in 2017) supplying an Outback solar charge converter and an FX inverter/charger. There are 4 Interstate AGM4D house batteries with a total of 800AH capacity, and 3 starting batteries (1 for each engine and generator) with MCA ratings of 890-1000. The batteries were installed in 2016 along with a galvanic isolation system. There is a remote control/monitor for the FX and charge controller located inside the saloon. 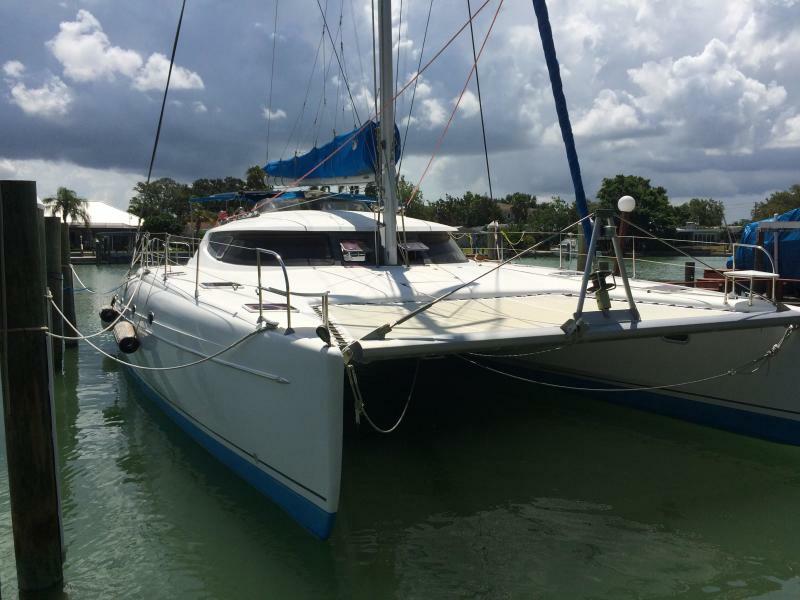 There are two Yanmar 40HP diesels on this catamaran (original) which run well and were overhauled in 2016 and recently maintained in May 2018. 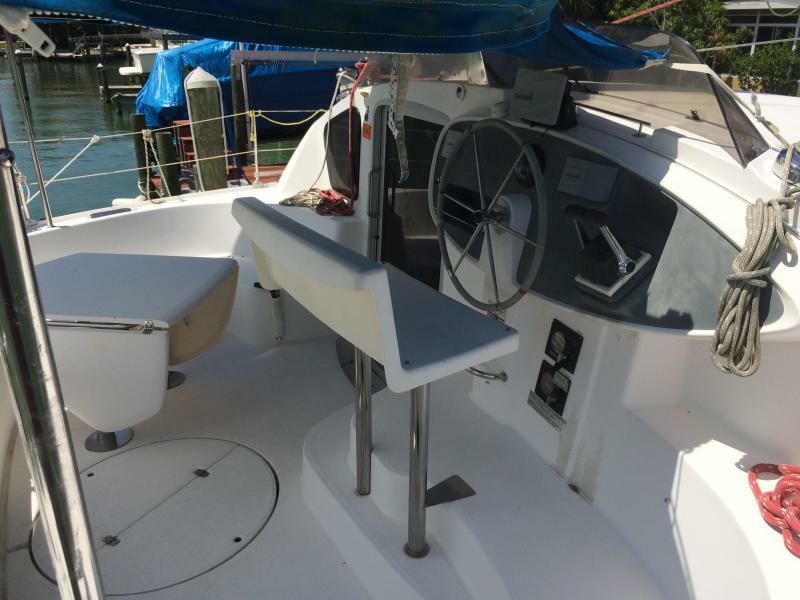 There are two SD-60 saildrives which were newly installed in 2016. The props are fixed, with a linecutter installed immediately before the prop on the same shaft. There are three airconditioning units which run on 120VAC power to supply airconditioning to the cabins and saloon area. The generator is a Kohler 120VAC 8.5KVA model 9E0ZD. 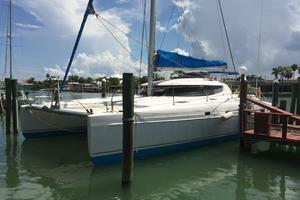 Mainsail and jib are included. These are original sails, but in good shape. 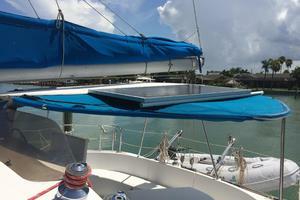 The jib is a Doyle with a Profurl furling system.